It might be September, but the sun is still strong here, and it's important to wear a good suncream. 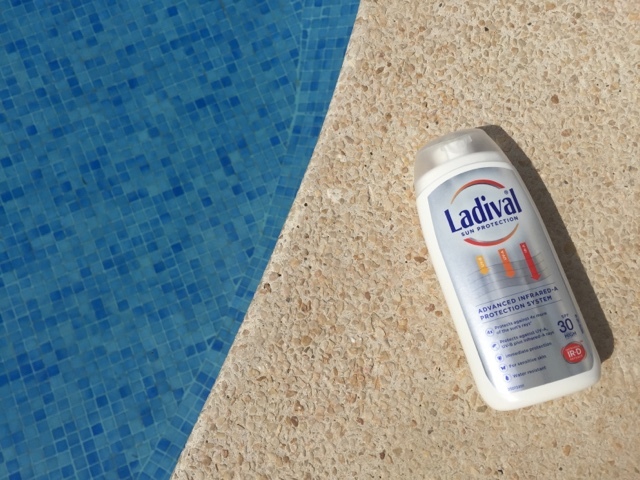 I was given this one (in factor 30) by a brand called Ladival at the Pegasus Beauty Showcase a couple of weeks ago, so this holiday is the perfect opportunity to test it out. 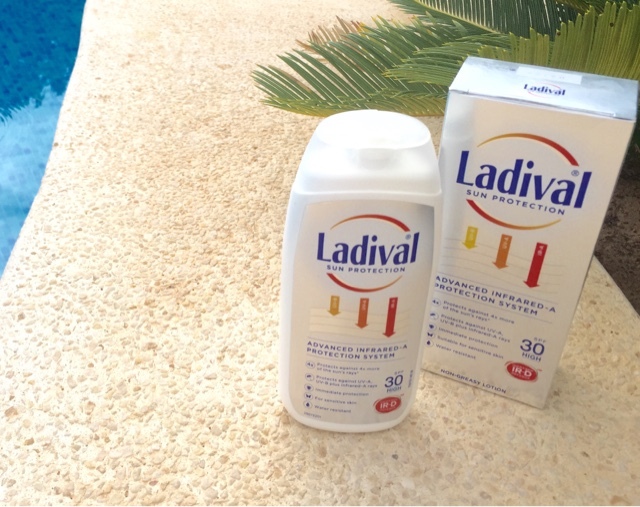 What makes Ladival different from other suncream brands is the fact that it protects against Infrared-A rays as well as the usual UV-A and UV-B rays. Infrared-A rays penetrate the deepest layers of skin and can cause the formation of aggressive free radicals, which contribute to accelerated skin ageing as well as the usual health risks associated with the sun and skin. Most suncreams work by blocking UV rays at the skin's surface. Ladival, on the other hand, uses "galenic technology" (don't ask me what that is) to deliver protection directly into the skin cell, thus helping to neutralise the harmful effects of Infrared-A rays as well. Now I don't have a crystal ball. I can't look into the future to tell you if this suncream is really going to be better at protecting the health and youthfulness of my skin than any other brand, no matter how convincing the science sounds. What I can do, however, is tell you what it feels like to use, which is very nice indeed. It's a thick lotion which sinks in effortlessly and really lives up to its claim of being non-greasy. This is a big plus in my book because I hate the feeling of being, as my sister and I call it, "slick with suncream". This one sinks in so well that it really doesn't feel like you're wearing it at all. All in all I'm impressed with Ladival and will definitely use it again. 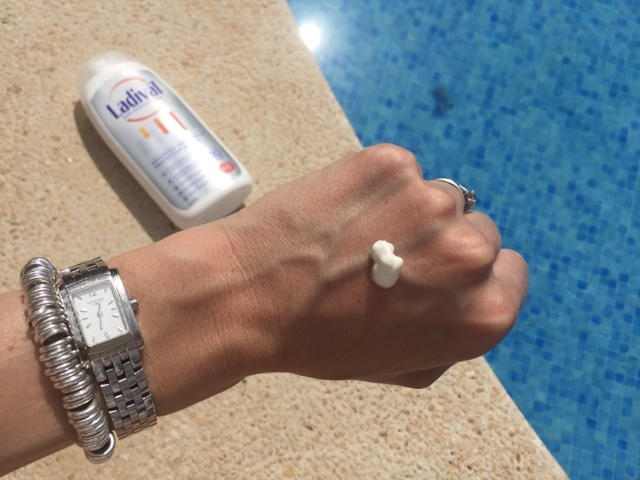 Have you heard of this suncream? Have you heard of Infrared-A rays? Because I certainly hadn't! I'd love to know if anyone else has used this product, and if so, what do you think of it? I used Ladival as a kid, but I don't think they had that Infrared thing at this time. Enjoy your holiday! 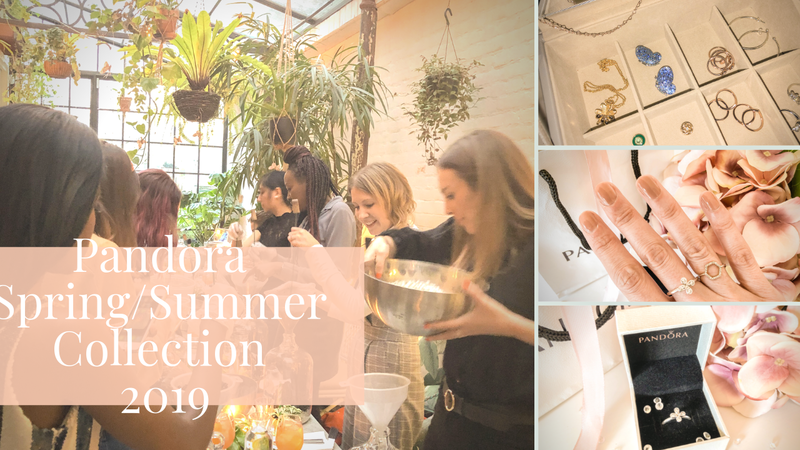 I first read about this brand on a couple of other blogs that received it from blogger events too. Good to know that it works great, I'm hoping that it's easily available here or at least worldwide shipping. Great post and review. I am not familiar with the product. Enjoy your stay. Very well reviewed. As you have mentioned the true test of a sunblock can only be over a long period of time but the product sounds quite good! I heard about this suncream at the Pegasus event and it seems very impressive! great review! i don't think we have this in Indonesia though. This sounds amazing and right up my street, it's so important to find a good suncream! You're so lucky! Enjoying the sun in Mallorca! I don't really like thick sun creams... but it sure sounds like a good product! Thanks for sharing, been searching for a good suncream!